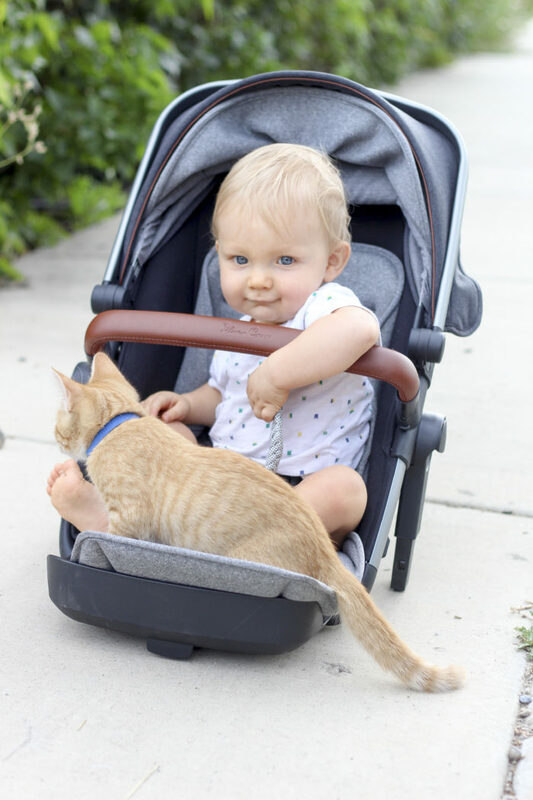 We brought Harris with us when I took these photos and he wanted to see our neighbor’s kitten so we took his seat out of his stroller and the kitten jumped right on!! 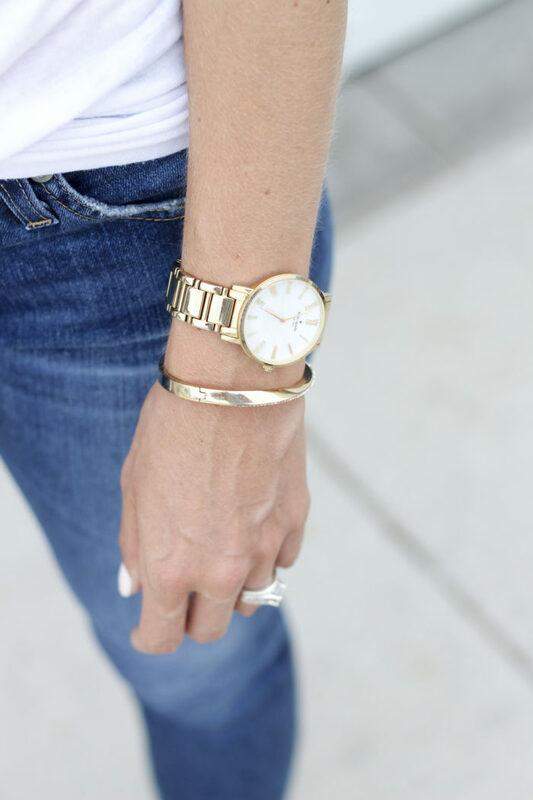 There are 4 things that I always buy at the Nordstrom Anniversary Sale every year without fail and that I look forward to buying each year. These are items that are really great deals, and that you save a significant amount of money in buying now rather than waiting or buying at any other time during the year! Without further adieu, friends, here goes! 1. 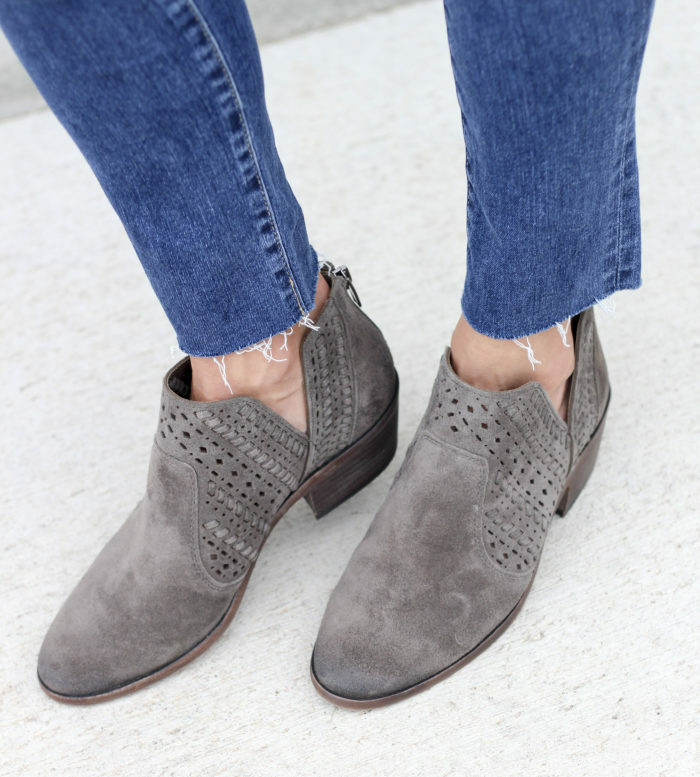 Jeans – When I say that I never buy designer denim anytime other than the Nordstrom Anniversary Sale, I literally never buy it ANY other time. 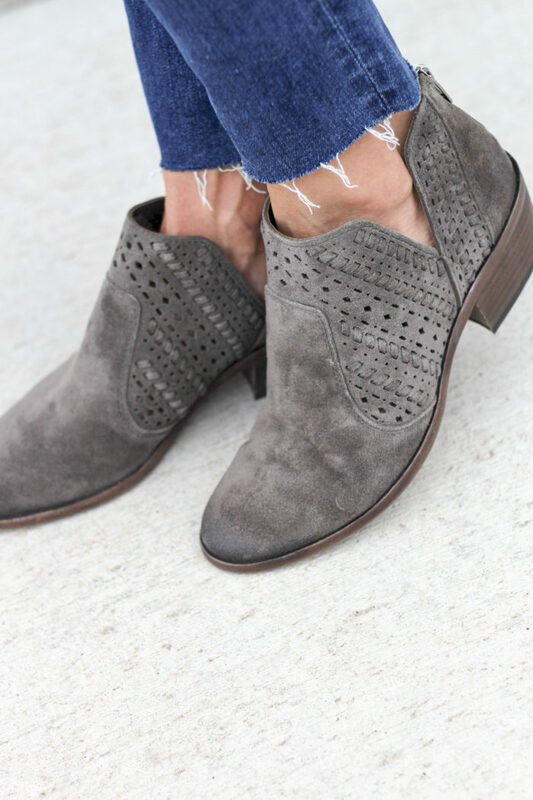 I buy a few new pair every year that last me a really long time, and when I need some updated designer denim again, I buy them during the next Nordstrom Anniversary sale! If you were to buy one pair, get this pair and order 1 size down. I am wearing a 26 and I never wear a 26. You SAVE $66.10 by getting them now before the sale ends! You can also order them online here to ensure that you get your size, and then choose pick up in store if you have one that is local. I bought this pair as well (they run true to size) and absolutely love them. I have worn both of these back and forth for the last week and half since I got them! If you are looking for a pair of black denim with ripped knees, I love this brand and if you don’t want ripped knees, this is a great pair. 3. Pajamas – This is something that I just started buying last year at the Nordstrom Anniversary sale and will be a new tradition for me because of these pajamas right here! They are soft. And when I say soft, I mean soft. They are literally the coziest pajamas of all time. I’m wearing a size small in the picture above and they are a little loose on me, so you can use that information to determine what size you want to get. You save $22.10 by getting these pajamas now, so while it’s not as significant as my number 1 and number 2 picks above, these need to be in your life so you should buy them now to save 🙂 Also, if you don’t have a Barefoot Dreams robe…oh my gosh. You will thank me later. It’s like wrapping yourself in the warmest, coziest hug out there. I got your back, girl. If you need a more lightweight option for summer, this jersey robe is perfect and so comfortable.